I don’t know about you, but today feels like it should be Thursday…of next week. This week has just been slogging on by! Partially to blame, I’m sure, is the amount of fun stuff I have going on this weekend, including seeing The Sonics at First Avenue. 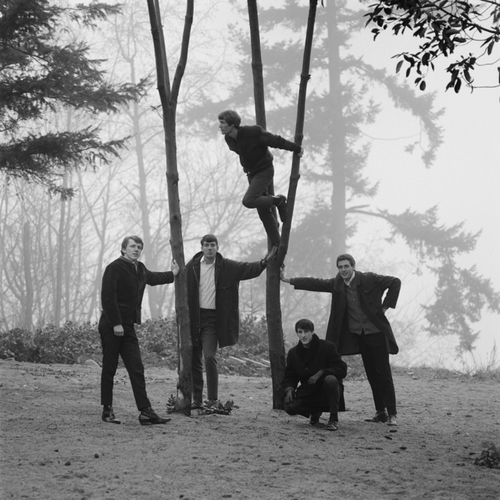 If you’re unfamiliar, The Sonics are a garage band from Tacoma, Washington, and their heydey was the early ’60s. Like all other (good) garage bands, their music is wild, hard and fast, so much so that whenever I put a record of theirs on, I can’t help but get fired up. Whether I’m running at the Y or powering through post-lunch desk slump or just in need of a mind-clearning, tush-wiggling dance party in my living room, The Sonics always hit the spot for me. Needless to say, I am pretty pumped to see them perform. I start grinning just thinking about it! In light of it being Wednesday (worst day of the week) and, of course, of Saturday’s show, today seems as good a time as any to share a mix of some of my favorite Sonics jams. In light of it being Wednesday (aka the second-worst day of the week) and, of course, of Saturday’s show, today seems as good a time as any to share a mix of some of my favorite Sonics jams. Warning: Listening to these songs may result in motivation. P.S. 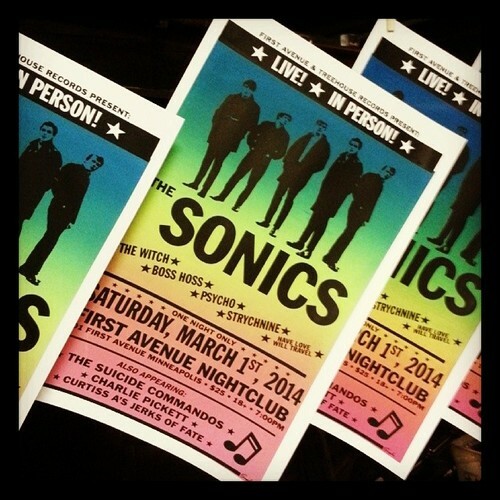 Tickets for The Sonics are still available, so if you like what you heard or you’re simply in need of something (AWESOME) to do, get some already. It’s a freaking bargain, especially considering the opening bands are also badass! This entry was posted in monday melodies and tagged first avenue, midweek melodies, music, the sonics by highplainsthrifter. Bookmark the permalink.